Since June 2018, the showroom offers an additional space of over 60m2 to the public. Antoine et Gaëlle Pierini tasked interior designer Rachel Desbordes… ( www.racheldesbordes.com) with this renovation. 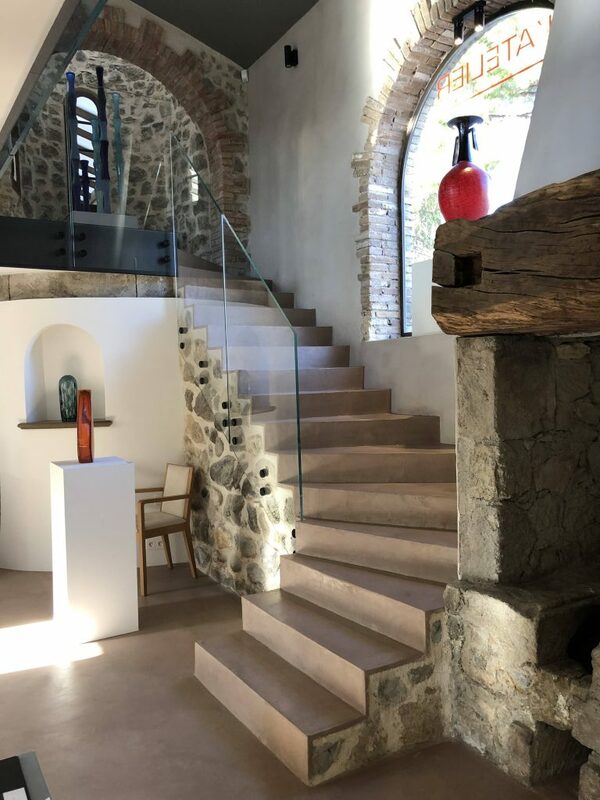 She managed to make the most of this space and to extend the immersion amongst the artworks, whilst preserving the soul of the place dating back to the 15th century. 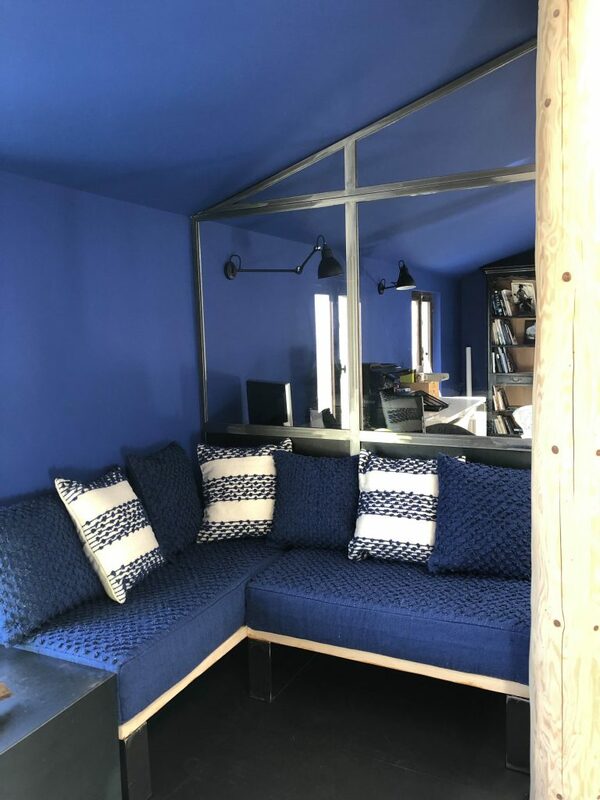 Using a color at the heart of the artist’s DNA, navy blue, she designed the perfect space to welcome Antoine Pierini’s universe the « Voyage en Méditerranée ». Furthermore, the extension of the gallery allows different perspectives such as privatizations for special events (press conferences, cocktail parties), offering a new space for our clientele of professionals to welcome their clients and collaborators.